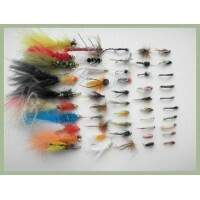 3 Boxed Sets of trout flies a complete selection to get you going. 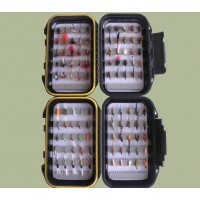 These boxes alone retails at £6.99 which is a handy safe lock box and measures 137mm x 88mm x 35mm. 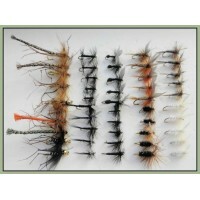 We have selected a great range of flies for river fishing Early to Mid season in a selection of different sizes. 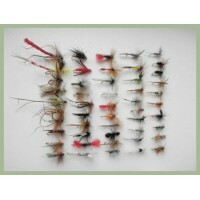 200 Flies in total. 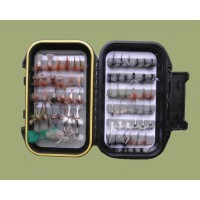 Dry flies in a handy pack of 50, contents include the following flies on a variety of mixed sizes fr..
50 Summer Dry Trout fishing flies, great for the warm months. 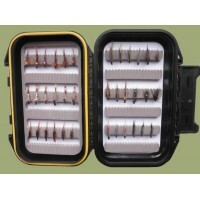 Selection as follows in a mixture of s.. 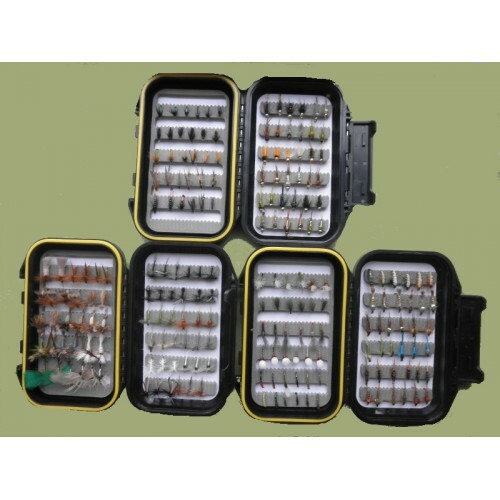 Here we have a lovely set of River Dry Flies supplied in our water tight snap lid trout fly box.&nbs..
50 Dry Trout Flies, Range of Sizes with a random pattern choice, which may differ from the image as..
50 Trout Flies. 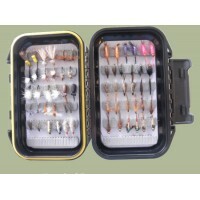 Random selection from our full collection, drys, wets, lures, buzzers which may diff.. 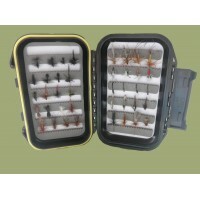 Here we have a fantastic set of 100 flies in 2 of our water tight safe lock fly boxes. Includes.. 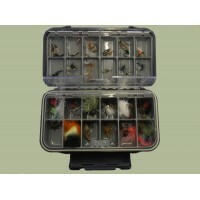 Here we have a lovely set of 100 flies supplied in our water tight 24 compartment trout fly box, the.. 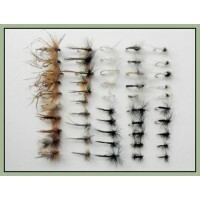 Ultimate River set – 60 flies Every fly you could possibly come across on rivers! 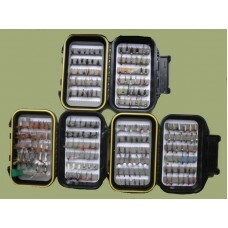 This boxed..